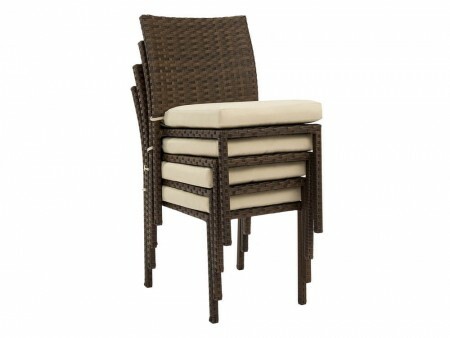 This comfortable light brown stack set of 4 chairs is perfect for any summer day. Their light weight makes them easy to relocate from place to place and their stylish outdoor design matches perfectly with any outdoor setting. 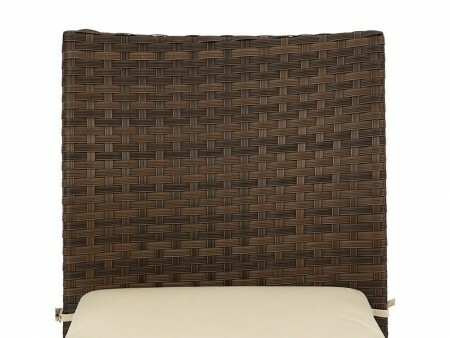 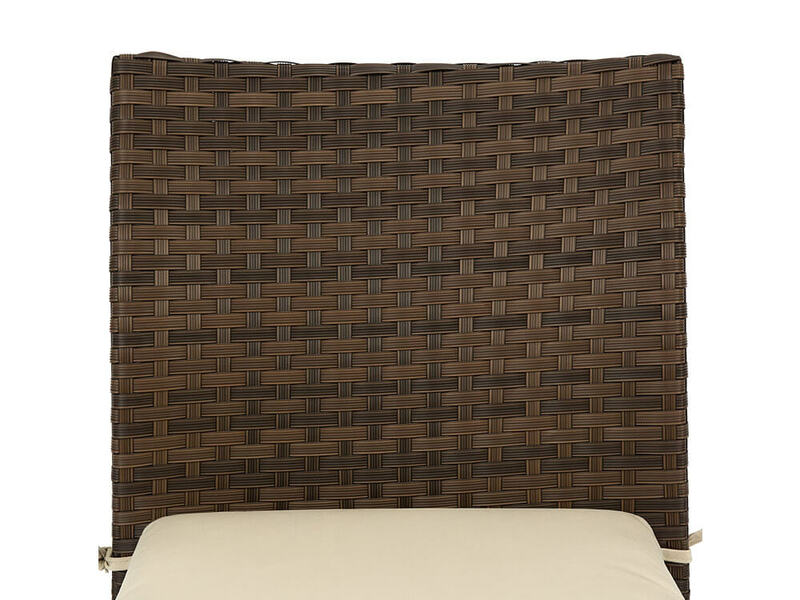 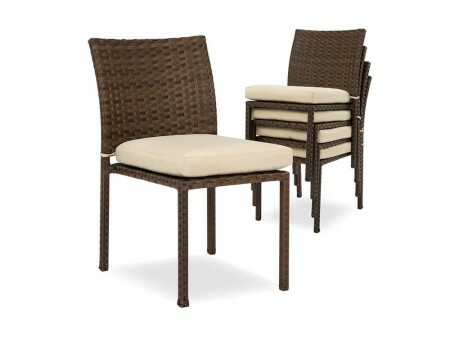 Made of hand woven PE Rattan, they are resistant to the outdoors and easily washable. 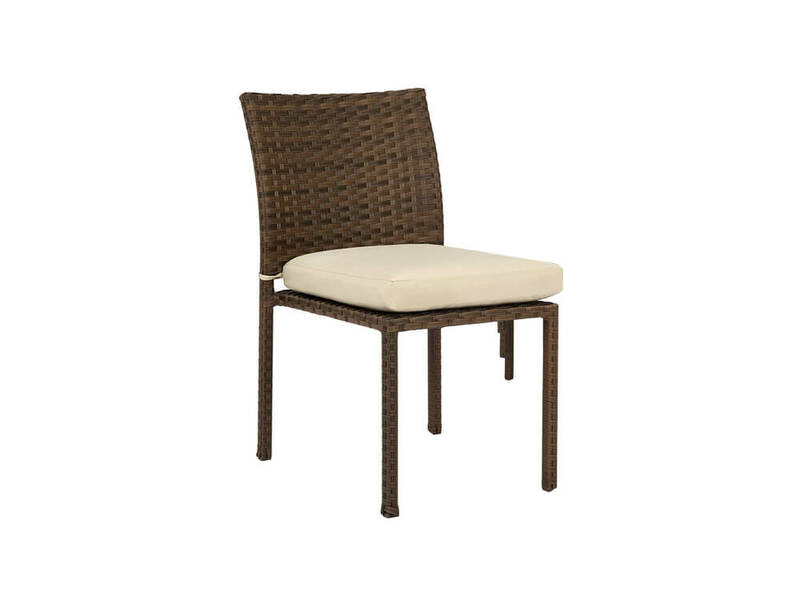 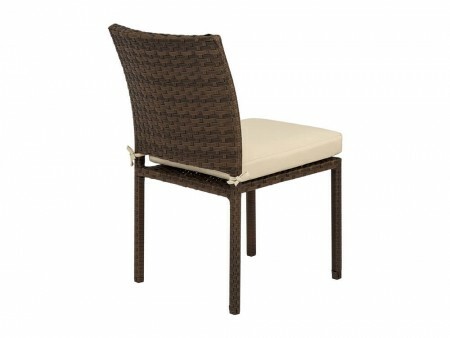 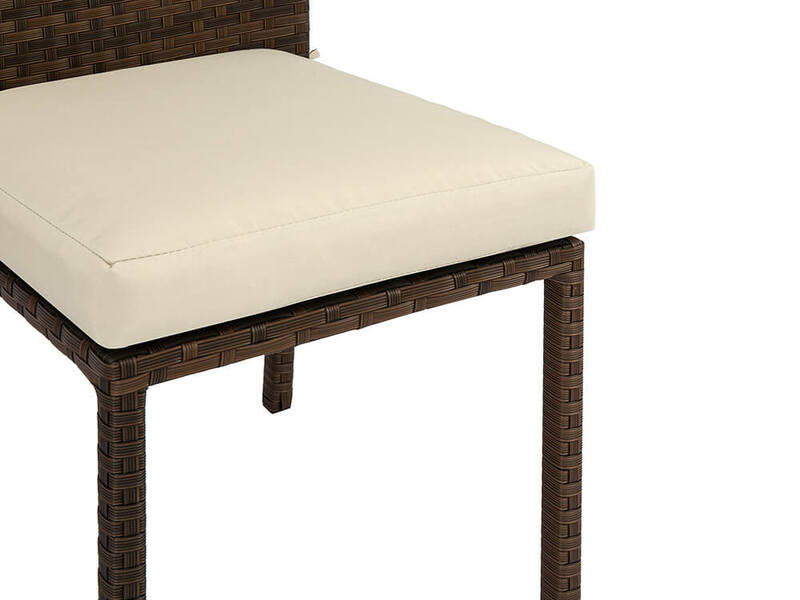 The Inhabitr Outdoor set of 4 Chairs have an ivory padded cushion for comfort and style.